Nawaz Sharif, the incumbent prime minister of Pakistan, owes his life to the kingdom of Saudi Arabia. A lesson that he learnt in a hurry after having witnessed the fate of the former prime minister who has hanged by the predecessor military dictator of Pakistan, and saw history repeating itself without the Saudi intervention offering him refuge. The prime minister of Pakistan can only repay his personal debt in national blood. What is also not inexplicable is the Pakistan Army COAS quickly rushing to dignify the Saudi regime's brutality under the most banal propaganda rubric that would easily resonate with the public mind --- threat to holy Saudi Arabia! Their marching orders, one may intelligently surmise, must have come directly from Washington. Because, like all militaries of the world prepared for proxy services, Pakistan's too takes its policy and priority cues from her own principal paymasters. As cliché as it may be, there is still no free lunch! To those who think all is well in Pakistan, that our Generals and rulers have made things better at the homefront wrt terror and there is nothing major going on wrt the latest Shia-Sunni conflagration being set-up globally, read for yourself the latest headlines in Pakistan's largest English news daily, Dawn, reproduced below. Pakistan is being set-up to be in the very eye of the storm. Being an ostrich must be a great blessing for my Pakistani friends, busy as each one of us is in the pursuit of our “American Dream” regardless of where we live. I was informed most reliably yesterday for instance by my friend in Lahore that our General COAS, the top man in charge of the country's defense, and the most honest man in Pakistan, has things under full control. This morning's News headlines inform us otherwise. All kinds of propaganda craft is being brought to bear to add fuel to the making of these new killing fields just as it was during the Iran-Iraq war in the 1980s where brother killed brother, 8 million, an order of magnitude more than the fratricide in the American Civil War. See this excerpt from an ancient political treatise (presented as historical fiction) if you think the cracks and lacunas among Shia and Sunni don't exist, or are not known to the arsonists who will come galloping as the fire brigade next, just as they are today the 'harawal dasta', the Marines if you will, fueling and then prognosticating the fire in preparation for the main Army's arrival. These historical fissures among Muslims which are perennially ripe for blood-harvest by those who are neither Shia nor Sunni, have to be closed off. And closed off fundamentally, not just with Band-Aids that peel off with the tiniest of scratching. Historical fault-lines by themselves need be of no more significance or consequence than as a scholarly footnote to the source of rich diversity among a latter day people, variegated as we all are in myriad cultures and civilizations. It is only when the footnote falls into the hands of Machiavelli and becomes enlarged as the entire book, that fratricidal blood flows in the streets and among nations. History vouches for the veracity of that truth. See Averting Shia-Sunni World War. Please dare to care.... take a stand. You can imagine the killing of the Saudi Shia dissent scholar Sheikh Nimr by the Saudi kingdom to be virtually equivalent to the killing of Franz Ferdinand, Archduke of Austria-Este, whose calculated assassination in Sarajevo on 28 June 1914 precipitated Austria-Hungary's declaration of war against Serbia leading to World War I. That world war led to 50 million dead and all existent empires replaced by the rising Pax Americana. That Pax Americana is to be replaced by World Government through these upcoming manufactured world wars. That's the general blueprint. 9/11 was its first provocation for the final push to global transformation. Shia-Sunni conflagration is to be the next in the long series of incrementally creating world order out of chaos. That engineered “just war” which began with aerial bombing in a reign of nightly terror by the Christian superpower, was followed by thirteen long years of crippling full spectrum economic sanctions and no-fly zones maintained by his successor president, William Jefferson Clinton. And that was followed by another full scale military invasion and nightly aerial bombing terror in 2003 by the prodigal son following in his father's footsteps, George W. Bush Jr., in the pretext of Iraq possessing WMDs that Saddaam Hussein was about to launch upon the United States and its Allies any minute. In 2005, like April Glaspie in the previous decade, the Iraq Study Group offered its ex post facto mea culpa of “intelligence failure”, a well worn template with much mileage evidently still left in it, after the fait accompli had been diabolically engineered and the “mission accomplished”. Cheap public blood, especially Muslim blood, repeatedly shed by game-theory laced highly predictable and manufactured “happenstances” of history that lead to the desired foreign policy outcome in a sea of fabricated chaos! We know what that desired ultimate outcome is: New World Order that “fulfills the promise and vision of the UN's founders.” The bibliography on this subject is extensive and rich, but the scholarly ostriches of Pakistan, like the rest of the world, find it both convenient to their careers and lucrative to their pocket-books to pretend that it does not exist. Sheikh Nimr's grotesque execution by barbaric beheading at the hands of his own state, her on-going military invasion and bombing of impoverished mostly Shia Yemen (Zaidi denomination) using mercenary armies, her purchasing a coalition of 34 nations along the Sunni axis, are all calculated provocations to get Shia Iran (Ithna Ashari denomination) to declare war on Sunni Saudi Arabia (Wahabi-Salafi denomination) for her global oppression of the Shias using her American sponsored Takfiri brigades (see Understanding ISIS and Imperial Surrogates and 'Terror Central' in Operation Gladio Redux). How long can the Iranian leadership, boldly proclaiming to be the valih-e-faqih-muslimeen, hold out from intervention without losing legitimacy to that title in the mind of the taqlidi Shia flock worldwide? Once forced to sit on the Russian roulette table, there can be no winners. So far, it appears that Iran under valih-e-faqih Ayatollah Khamenei, has pragmatically understood the devil that she has been supping with for her recently concluded JCPOA treaty to unilaterally disarm herself of all potential nuclear weapons technology in exchange for international relief from the long running economic sanctions. The revolutionary state has sagaciously resisted her national instinct to rush headlong into any holy war set up for it, as it did during the reign of the first valih-e-faqih of Iran, the late Ayatollah (imam) Khomeini, who identified America as the Great Satan and watered her cemeteries with the youthful blood of a generation in the name of Sacred Defence. In that same vein of engineered Machiavellian provocation, how long before a Hezbollah Pakistan is born by the existential necessity of self-defence, to offer armed resistance to the Takfiris in Pakistan shedding Shia blood with impunity with the state looking the other way? (See The New SAVAK in Pakistan). For all that spilled Muslim blood in Pakistan and elsewhere, the Pakistanis have not been galvanized into displaying public furor of any consequence. Apathy is a strong motivator for any people to look the other way, or at best do the obligatory feel-good “weekend jihad” and get on with the pursuit of their “American Dream” the rest of the week. But any perceived threat to the kingdom of Saudi Arabia, the custodian of Mecca and Medina, is a different story altogether. With proper propaganda support, that would easily become the universal cause célèbre for yet another sacred defence! The new narrative is a most brilliant play from Machiavelli's playbook of engineering conflagration. This time it is engineered to flashpoint, and assisted by the state apparatuses of the vassal states, as with the carefully crafted public rhetoric of '“strong response” to threats to his country’s territorial integrity,' the Pakistani rulers repeatedly assured the Saudi Defence minister (see news reports below). Instead of holding Saudi Arabia to the much touted human rights standards for its barbaric beheadings and causing the death of thousands of pilgrims in the preceding Hajj season, with no respect shown to the dead pilgrim bodies which were subsequently buried anonymously in mass graves and no apologies offered to their grieving families and nations, the Pakistani officials, military and political, rushed to declare their oath of allegiance to the kingdom that bankrolls Pakistan and provides safe haven to its out-of-favor political leaders during military take-overs. What is also not inexplicable is the Pakistan Army COAS quickly rushing to dignify the Saudi regime's brutality under the most banal propaganda rubric that would easily resonate with the public mind --- threat to holy Saudi Arabia! To protect the holy lands from the impoverished Yemenis, Pakistan's Defence Minister, Khawaja Asif, unabashedly admitted on the National Assembly floor that Pakistan has agreements with Saudi Arabia, stating: “our people do provide training to the Saudi troops.” (January 19, 2016). Training to do what? To bomb impoverished Yemen in partnership with the Western Allies' proxy war services, as even headlined in the British press: “British military advisers are in control rooms assisting the Saudi-led coalition staging bombing raids across Yemen that have killed thousands of civilians, the Saudi foreign minister and the Ministry of Defence have confirmed.” (January 15, 2016). Pakistan military advising and training the Saudis for bombing Yemen – Why? What threat does the Shia rebellion in the North of that impoverished country to demand equality and justice from their own government present to Western backed Saudi kingdom? Only as the provocation template to induce Iran into the Shia-Sunni battlefield being mercilessly carved out in Muslim blood, with Pakistan, the eager beaver proxy services provider to the world, already declaring its chosen side! Then they shall come as “peace makers”, as the Holy Qur'an vouches the war-mongers always deceitfully do: “When it is said to them: "Make not mischief on the earth", they say: "Why, we only want to make peace! "” (2:11). Lo and behold, after choosing sides, after aiding and abetting the Saudi aggressors in their propaganda narrative of the so called 34-nation Sunni coalition to wage “war on terror” from which Shia Iran is carefully kept out “due to trust deficit”, Nawaz Sharif accompanied by his COAS gallantly trot off to both nations to become the valiant “peace makers” (“Saudi Arabia, Iran brotherly countries: PM Nawaz”, January 19, 2016). Beyond the pretenses and public relations which wear thin, for the royal welcome mat eagerly laid out in Pakistan for Saudi Defence and Foreign Ministers, Pakistan's military's marching orders to provide proxy services to the kingdom of Saudi Arabia, one may intelligently surmise, must have come directly from the head of Western Alliance, Washington. Because, like all militaries of the world prepared for proxy services, Pakistan's too takes its policy and priority cues from her own principal paymasters. As cliché as it may be, there is still no free lunch! To be faithful to one's own nation one must not have foreign paymasters, nor harvest one's own nation to make up the difference. Perhaps that truism is no longer obvious to anyone. The war imposed upon us is principally an intellectually fueled war. Those who don't use their intellect cannot ever confront it. Those who do, unfortunately have no power unless people together use their collective national intellect. Fools and useful idiots will always overwhelm the most profound intellect as has happened throughout human history. Mobs are swayed by emotions and sentimentalism and before their rising noon tide, the tallest intelligence, the fairest virtue, bows her head in acquiescence when they come to burn her house down. The people of the Indian subcontinent are given to this predilection more than almost any other people. The blood partition of 1947 is empirical evidence of that fact that nothing was left sacred by the Hindu-Muslim-Sikh mobs incited by events beyond their control and acumen, swearing blood revenge upon each other. Neighbour killed neighbour, friend killed friend, just because they were not part of the same religion. That same fire of separation on ideological grounds, “us vs. them”, is being rekindled among the same people, specifically of riot prone Pakistan. But this time along their natural fissures, the sectarian boundary. The mobilization exercises to recruit the mujahideen for America's proxy war against the USSR in Afghanistan among the Sunnis worldwide, but mainly in Afghanistan-Pakistan, and the baseej and other canon fodder in Shia Iran by Ayatollah Khomeini for the American sponsored Iran-Iraq war during that same period to birth-pang the infamous “arc of crisis”, which, as Brzezinski prognosticated in the Time Magazine of January 1979: “An arc of crisis stretches along the shores of the Indian Ocean, with fragile social and political structures in a region of vital importance to us threatened with fragmentation. The resulting political chaos could well be filled by elements hostile to our values and sympathetic to our adversaries.”, have unequivocally demonstrated the success of “God is on your side” applied thickly enough! Let's not fall for it again. Inform our leaders, our generals, our rulers, our scholars, our opinion-makers, that we do not wish to be participant in their games. That we are not sheep and that we refuse to service the mutton eaters! Let each one of us feel the burden of responsibility to douse the dry kiln wood around us and within our reach, in plentiful water before the imperial spark succeeds in setting it all ablaze. ISLAMABAD: While Chief of Army Staff Gen Raheel Sharif assured visiting Saudi Defence Minister Mohammad bin Salman on Sunday of “strong response” to threats to his country’s territorial integrity, Prime Minister Nawaz Sharif called for resolving its crisis with Iran through diplomacy and offered Pakistan’s good offices in this regard. “Pakistan has historically pursued the policy of promoting brotherhood among member states of the OIC. Pakistan has also always expressed its readiness to offer its good offices to brotherly Muslim countries for resolution of their differences,” the prime minister was quoted by his office as having told the Saudi deputy crown prince. Prince Mohammad met the army chief and the prime minister during his seven-hour stay here. Defence Minister Khawaja Asif received him at the airport, but curiously there was no counterpart meeting. The Saudi prince, whose visit came close on the heels of one by Foreign Minister Adel Jubeir, was reportedly here to find out how Pakistan could militarily assist his country. The prime minister recalled the “historical, cultural, and religious” ties and reiterated the established commitment of standing with the “people of Saudi Arabia” in case of any threat to its territorial integrity, while also stressing the need for peacefully resolving the conflict. In his meeting with the Saudi minister at the General Headquarters, the army chief delivered a stronger message — probably offering the visiting leader the sound bite that he came looking for. Gen Sharif, according to ISPR, “re-asserted that any threat to Saudi Arabia’s territorial integrity would evoke a strong response from Pakistan”. Negotiations between GHQ and Saudi officials on defence cooperation preceded Prince Mohammad’s visit. The discussions are being kept highly secret. Although it is publicly unknown what the military has committed to the Saudis, Gen Sharif found it enough to say that the defence relationship with the country was held “in highest esteem”. Amid speculations on the matter, a government source was reported as saying that the military had committed deployment of troops in Saudi Arabia. However, the claim could not be verified and military spokesman Lt Gen Asim Bajwa was unavailable for comments because he is out of the country. Defence Minister Mohammad told Gen Sharif that his country would extend “full support to Pakistan’s position on all matters”. The execution this month of Saudi Shia cleric Sheikh Nimr Baqir Al Nimr and the subsequent reaction from Iran, including storming of the Saudi embassy in Tehran, sparked the crisis in the already tense relationship between the two countries. Saudi Arabia responded by cutting off its diplomatic relations with Iran and many of its Arab allies followed suit. Foreign Minister Jubeir said after a special session of the Gulf Cooperation Council a day earlier that Saudi Arabia was mulling additional steps against Iran, but Defence Minister Mohammad hinted in a media interview that confrontation would not be allowed to escalate into an all-out war. Besides discussing the tensions with Iran, the Saudi prince was also here to promote a counter-terrorism coalition, which is said to be his brainchild. Prime Minister Sharif welcomed the initiative and reaffirmed support for the coalition of ‘like-minded Islamic countries’. “Pakistan supports efforts to counter terrorism and extremism,” he said in his meeting with the visiting minister. “The two leaders agreed to strengthen bilateral relations between Pakistan and Saudi Arabia and deepen the cooperation in all fields, including defence, security, fight against terrorism, trade and investment and meeting manpower requirements of the kingdom,” the official statement said. It was also agreed that the two countries would cooperate in developing an effective counter-narrative to defeat the extremist mindset. ISLAMABAD: Prime Minister Nawaz Sharif in his meeting with Saudi Arabia’s Deputy Crown Prince and Defence Minister Muhammad Bin Salman and assured Saudi Arabia of Pakistan's support if if any threat arises to its territorial integrity. According to a statement released from Prime Minister House, the prime minister also exchanged views with the Saudi dignitary on bilateral relations and regional security. Chief of Army Staff (COAS) General Raheel Sharif met the Saudi Defence Minister at General Headquarters this afternoon and discussed matters related to regional security and defence cooperation. During his meeting with Muhammad Bin Salman, the COAS said that Pakistan enjoys close and brotherly relations with Saudi Arabia and other Gulf Cooperation Council (GCC) countries and attaches great importance to their security. About the country's defence ties with Saudi Arabia, Raheel Sharif repeated that Pakistan holds its defence ties with the Kingdom in highest esteem and any threat to Saudi Arabia’s territorial integrity would evoke a strong response from Pakistan. According to ISPR, Saudi Defence Minister also expressed similar thoughts and also appreciated Pakistan's armed forces over their successes in fight against terrorism. Saudi Arabia’s Deputy Crown Prince Muhammad Bin Salman, who is also the deputy prime minister and minister for defence, arrived here on Sunday for a day-long trip for seeking Pakistan’s support as the kingdom mulls additional steps against Iran. This is the second high-profile visitor from Riyadh in three days. Foreign Minister Adel al-Jubeir visited Islamabad on Thursday for discussing Riyadh’s tensions with Tehran and the counter-terrorism coalition that Saudi Arabia had announced. Prince Muhammad followed up on the discussions FM Jubeir had here and met Chief of Army Staff General Raheel Sharif and Prime Minister Mian Muhammad Nawaz Sharif. The Saudi defence minister will also meet meet Minister for Defence Khawaja Asif. Pakistan has indicated it could consider the Saudi invitation to join the 34-nation coalition (proposed by Riyadh before the Iran spat). However, no official announcement has been made so far. Islamabad has criticised Iran for reacting to Saudi cleric Sheikh Nimr’s execution and sees it as interference in internal matters of the kingdom. FM Jubeir on Saturday, after an extraordinary meeting of the foreign ministers of the Gulf Cooperation Council, said that Saudi Arabia could take further steps against Iran if tensions were to escalate. A source said that the Saudi defence minister is expected to conclude a military cooperation arrangement during the trip, which the two sides have been negotiating recently. Saudi Assistant Defence Minister for Military Affairs Muhammad Bin Abdullah al-Ayish earlier visited GHQ and his trip was followed by discussions at other levels. Details of the cooperation agreement are being kept under wraps. A military official described intensified contacts as part of Riyadh’s heightened diplomatic outreach to allied countries amid aggravating tensions with Iran. Chairman Joint Chiefs of Staff Committee Gen Rashad Mahmood is also expected to visit Saudi Arabia later this month. ISLAMABAD: Pakistan reaffirmed on Thursday its support to Saudi Arabia, which is embroiled in a tense standoff with Iran, and the counter-terrorism coalition that it (Riyadh) was setting up. The reiteration of support for the Saudi government was made during a shortened visit by Saudi Foreign Minister Dr Adel Al-Jubeir to Islamabad for discussions on his country’s diplomatic row with Iran and the multinational coalition against terrorism it (Saudi Arabia) had announced. “People of Pakistan held the Kingdom of Saudi Arabia in high esteem and also had deep respect for the Custodian of the Two Holy Mosques. … (they) will always stand shoulder to shoulder with the people of Saudi Arabia against any threat to its territorial integrity and sovereignty,” PM Sharif told FM Jubeir, while assuring him of Pakistan’s unconditional support. Additionally, a media statement said the two sides discussed regional and global issues of common concern and agreed on promoting multi-faceted cooperation. The Saudi foreign minister started his whirlwind tour of Islamabad with a meeting with Army Chief Gen Raheel Sharif at GHQ and then visited Prime Minister Nawaz Sharif at his residence before concluding the trip with a meeting with Adviser on Foreign Affairs Sartaj Aziz. Mr Jubeir, who led a 17-member delegation, stayed in Islamabad for a little over six hours. His trip was officially described as a ‘working visit’. He was to originally visit Islamabad on Sunday, but postponed it at the eleventh hour due to the storming of Saudi embassy in Tehran by protesters agitating against the execution of Saudi dissident Sheikh Nimr Baqir Al-Nimr. As the Saudi foreign minister landed in Islamabad, protesters from various religious parties held a protest demonstration in the federal capital’s D-Chowk against Pakistan’s decision to join the Saudi-led coalition and execution of Sheikh Nimr. The Foreign Office cancelled a planned joint press conference by Mr Aziz and Mr Jubeir to avoid possible media questions over the recent regional developments involving Saudi Arabia. A statement issued by the Foreign Office said that Mr Jubeir talked about tensions with Iran during his meetings. Pakistan, which had already con­demned the Saudi embassy incident, went a step further by noting it “believes in respect for international norms and adherence to non-interference”. Besides the tensions with Iran, the Saudi foreign minister was said to have briefed Prime Minister Sharif on details of the counter-terrorism coalition. Saudi Arabia had last month announced that it was establishing a 34-nation coalition to fight terrorism. The government at the time of announcement of the coalition, in which Pakistan had been included, conceded that it did not know much about the group, but still agreed to join it. It was also said that the extent of involvement in the activities would be decided after Riyadh shared the details. During the delegation-level meeting the two sides led by the respective foreign ministers, agreed on engaging the clergy for formulating a narrative against extremism and terrorism. ISLAMABAD: Hundreds of people joined a Shia-led protest in Islamabad on Friday against the government's decision to join Saudi Arabia's 34-country coalition against extremism, as Riyadh's foreign minister ended a two-day visit to the country. The protesters presented a memorandum to the Foreign Office spokesman demanding Pakistan to drop out of the alliance, which was announced in December and is seen as the latest sign of a more assertive foreign policy by the Saudi kingdom, the dominant Muslim power in the Middle East. “Neither the Pakistan army nor the nation is for rent, we will oppose any attempts to sell the army to the house of Saud for a few billion riyals,” said Shia activist Gul-e-Zahra, addressing the Friday's rally. Pakistan announced on Thursday they would join the Saudi-led military alliance to fight “terrorism” in the Islamic world, following a meeting between Riyadh's foreign minister Adel bin Ahmed Al-Jubeir and Prime Minister Nawaz Sharif. Saudi Arabia announced the coalition last month, naming Pakistan as a member, but Islamabad had initially reacted cautiously saying it needed further details before deciding the extent of its participation. In a separate rally in the capital, an estimated 1,500 people chanted slogans against Saudi's execution of Shia cleric Sheikh Nimr al-Nimr on January 2, which sparked a deepening crisis between Riyadh and regional rival Iran. Small scale rallies against the Saudi coalition were also organised in Lahore, however, protests were also held in Islamabad against Iran, with demonstrators accusing Tehran of “meddling “in Saudi Arabia's internal affairs. The protesters chanted slogans vowing to “lay down their lives for the protection of the custodians of the holy cities”, a term used for the ruling Saudi family. WASHINGTON: The conflict between Saudi Arabia and Iran is likely to further widen an existing sectarian divide in the Middle East, pitting Muslims against Muslims, warns a US survey released on Thursday. The survey by the Washington-based Pew Research Centre shows that in Jordan, a predominantly Sunni country, 78 per cent of the public have a favourable view of Saudi Arabia, compared with only 8 per cent who have a positive opinion of Iran. In the Palestinian territories, where again Sunnis predominate, about half — 51pc — have a favourable view of Saudi Arabia. Here, there is a split by location. Among Palestinians living in the Gaza Strip, 60pc have a positive opinion of Saudi Arabia, compared with 46pc among West Bank residents. Meanwhile, only 34pc in the Palestinian territories express a positive opinion of Iran, with more support coming from the West Bank (40pc) than from Gaza (24pc). Overall, 48pc in Lebanon have a favourable view of Saudi Arabia versus 41pc who like Iran. However, as is usually the case in Lebanon, opinion is divided among three main religious groups in the country: Christians, Sunni Muslims and Shia Muslims. An overwhelming number of Sunni Lebanese have a favourable view of Saudi Arabia (82pc), while Iran’s favourability among Sunnis sits at 5pc. An even greater divide exists among the Lebanese Shia population, with 95pc saying they like Iran, while only 3pc say the same about Saudi Arabia. Christians in Lebanon tend to have more favourable views of Saudi Arabia (54pc) than Iran (29pc). In two other Middle Eastern nations surveyed, there is little support for either Saudi Arabia or Iran. In Turkey, around two-in-ten have favourable views of each power. And in Israel, even fewer like Riyadh (14pc) or Tehran (5pc). In Israel, the Arab population is about as positive toward Saudi Arabia (37pc favourable) as it is Iran (34pc), despite the fact that the Israeli Muslim population is predominantly Sunni. Jews in Israel, however, have little regard for Saudi Arabia (10pc favourable) or for Iran — for which there is little per cent favourability among Israeli Jews. The recent execution of Shia leader Nimr al-Nimr, along with dozens of other prisoners, by the Saudi Arabian government has sparked a furor in the Middle East. The storming of the Saudi Embassy amid protests in Iran, a predominantly Shia Muslim nation with long-standing animosity toward predominantly Sunni Saudi Arabia, has led to the cutting of diplomatic ties between the two powers. Saudi allies in the region, such as Bahrain, have followed suit. The tensions between Saudi Arabia and Iran are often characterized as sectarian – that is, Iran and its Shia allies versus Saudi Arabia and its Sunni brethren. And this characterization plays out to a large degree in public attitudes toward the two countries in five Middle Eastern nations Pew Research Center surveyed in spring 2015. In Jordan, a predominantly Sunni Muslim nation, 78% of the public have a favorable view of Saudi Arabia, compared with only 8% who have a positive opinion of Iran. LONDON: Saudi Arabia's execution of Shia cleric Sheikh Nimr al-Nimr has exposed the dangerous political, religious and socio-economic fault lines which run through the kingdom and the Gulf. News of the execution sparked some unrest among Shia communities in Saudi Arabia's oil-rich Eastern Province and in neighbouring Bahrain as well as in southern Iraq. Iran's supreme leader effectively called for the overthrow of the Saudi monarchy, drawing a furious response from the Saudi government, which accused the Islamic Republic of interfering in the kingdom's internal affairs. Iranian protesters stormed the Saudi embassy in Tehran, and Saudi Arabia responded by breaking off diplomatic relations and encouraging allied Sunni governments to do the same. Saudi Arabia's ambassador to the United Nations (UN) told reporters on Monday "we are not natural born enemies of Iran". But restoring diplomatic relations would only be possible if Iran were to "cease and desist from interfering in the internal affairs of other countries, including our own". The rivalry between the two big powers in the Gulf is often simplified to a contest between a conservative Sunni monarchy and a revolutionary Shia republic; the reality is more complicated and worrying. Saudi Arabia's Eastern Province lies at the dangerous intersection of great power rivalry between Iran and Saudi Arabia, sectarian conflict between Sunni and Shia, social and economic grievances, and the world's largest oil reserves. Researchers at Columbia University have put together an outstanding collection of maps illustrating the cultural, religious, tribal and linguistic divisions across the Gulf region. 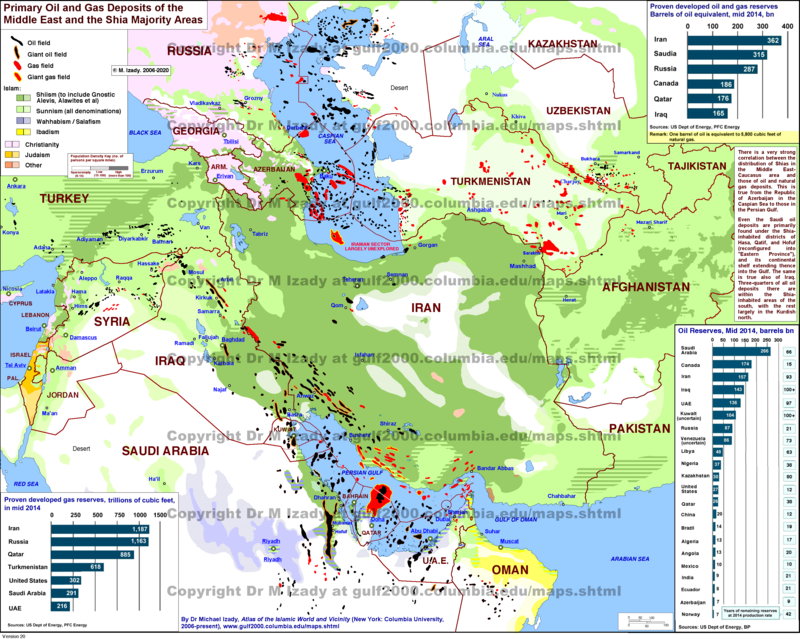 They show Shia majority areas stretching in an arc up through Iran, across southern Iraq and down along the eastern coast of Saudi Arabia into Bahrain, with a further output in the highlands of northern Yemen. Iran has taken a special interest in the Shia communities in all these countries; and in some cases the government in Tehran, especially the Revolutionary Guards and other elements, have tried to export their influence. But it is also clear that many of these Shia communities have strong local grievances and much of the unrest has local roots rather than simply being stirred up by Iran. Shia communities in Iraq, Bahrain and Saudi Arabia have all suffered discrimination and marginalisation at the hands of Sunni-dominated governments and societies over the last century. What adds to the destabilising cocktail is that areas that are home to many Shia communities are also where most of the region's oil and gas fields and remaining reserves are. Southern Shia-dominated Iraq contains far more oil and gas than the Sunni-majority areas in the centre of the country. And in Saudi Arabia, Eastern Province is where almost all the country's oil and gas reserves are to be found. Conditions in the Eastern Province remain relatively opaque because access and reporting are controlled by the Saudi government, which also strongly discourages international discussion about political risks affecting the kingdom. The potential for serious unrest is one of those low probability, high consequence risks that are difficult to estimate properly but which should not be ignored. Unrest remains a tail risk rather than a central risk. It is much more likely the Eastern Province will remain peaceful, and much less likely that it will see social upheaval. No one will make money betting on political instability in Saudi Arabia or unrest in the oilfields because the probability in any given year is low. The risk of unrest could be as low as 5 per cent or even 1pc but that is not the same as zero. The same could have been said about the risk of upheaval in Egypt or Tunisia before 2011. The risks are real enough that they are perceived as a serious danger by the Saudi government, which continues to maintain a heavy security presence in the area, and they help explain why the confrontation between Riyadh and Tehran is so bitter and so personal. In most parts of the Middle East, national boundaries do not correspond to religious, cultural, linguistic or tribal divisions, and Saudi Arabia is no exception. 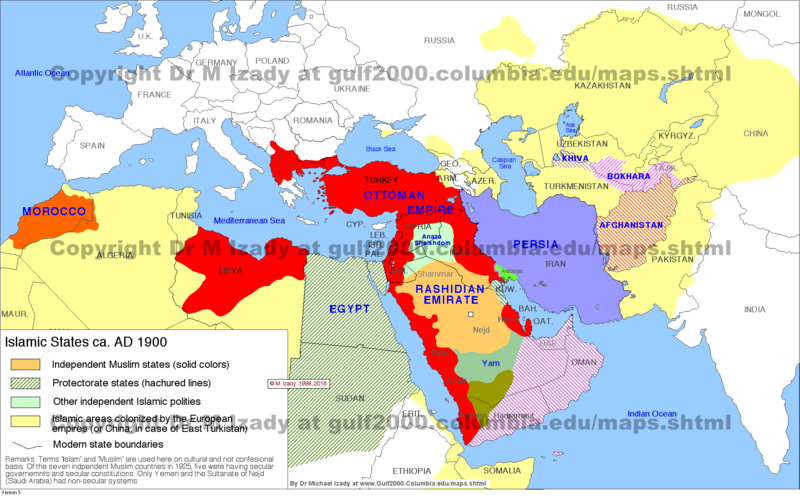 The kingdom is an amalgamation of the conservative central region (Najd) with the western coast (Hijaz) and the eastern oases along the Gulf coast (al-Hasa), all of which were separately administered until comparatively recently. King Abdulaziz, ruler of the Najd, conquered al-Hasa in 1913 from the disintegrating Ottoman Empire, and added the Hijaz in 1924/25, finally unifying the country in 1932. But there are still major cultural and religious differences between the regions and even within them. Much of the ruling political and religious elite is drawn from the Najd, which is also identified with the austere Wahhabi form of Islam. Hijaz was the home of more liberal interpretations of Islam while the majority of the population in al-Hasa followed Shia Islam. As part of an effort at nation-building, conservative religious views from the Najd have been imposed on other parts of the country. According to the US government's Commission on International Religious Freedom, the modern Saudi state "privileges its own interpretation of Sunni Islam over all other interpretations" and "restricts most forms of public religious expression inconsistent with its particular interpretation of Sunni Islam". One result is a long history of tension between Sunnis, especially those following a strict Wahhabi interpretation, and the Shia communities in al-Hasa, now renamed the Eastern Province. "Authorities continue to repress and discriminate against dissident clerics and members of the Shia community” the Commission on International Religious Freedom wrote in its latest annual report. "The Shia community also faces discrimination in education, employment, the military, political representation, and the judiciary," the Commission concluded, according to the International Religious Freedom Report 2015. The Saudi government denies any discrimination. Recent reports have noted progress towards ending official discrimination, but how much unofficial discrimination remains is unclear because the Saudi government strongly discourages research. As recently as 2012, the Commission found: "There are no Shia ministers in the government, only 5 of the 150-member Shura (Consultative Council) are Shia Muslims, and there are very few Shia Muslim leaders in high-level government positions, particularly in the security agencies." "In predominantly Sunni Muslim areas of the country outside the Eastern Province, Shia and Ismaili Muslims face harassment, arrest and detention," it concluded, according to the International Religious Freedom Report 2012. Sectarian tensions between Sunnis and Shias have periodically resulted in unrest in the Eastern Province ─ including two major labour strikes against the Arabian American Oil Company (Aramco) in 1953 and 1956, a full-scale uprising in 1979/80, and demonstrations in 2011. The 1953 and 1956 strikes "were sparked by grievances over low wages, poor working and living conditions, and racism," according to historian Toby Jones of Rutgers University, according to 'Desert Kingdom: How Oil and Water Forged Modern Saudi Arabia'. "From the beginning, Aramco was acutely aware of compatibility issues between Sunni and Shia Muslims," the company's former chief executive Frank Jungers wrote in his memoir, 'The Caravan Goes On: How Aramco and Saudi Arabia Grew Up Together'. "The Shias were definitely in the minority nationally but made up the majority in the Eastern Province and tended to live in separate areas. The company was careful as a matter of policy not to allow this religious difference to become a factor in the training or evaluation of an employee," Jungers explained. Aramco worked hard to professionalise its labour force, but the fact Jungers mentioned religious differences so prominently underscores the potential for tension. In 1979, protests erupted in Qatif and a number of other Shia areas of the Eastern Province, as well as in neighbouring Bahrain, and became violent following confrontations with the security forces. The unrest, which had a strong sectarian element, came only a few months after the shah was violently overthrown and the Islamic Revolution brought to power Ayatollah Ruhollah Khomenei in Iran. The new government in Tehran sought to export its revolutionary ideology and openly encouraged Shia communities in neighbouring Iraq, Kuwait, Bahrain and Saudi Arabia to revolt against their Sunni rulers. Khomenei's government broadcast its revolutionary message by beaming a powerful radio signal directly into the Eastern Province. "There is little doubt that the Iranian Revolution helped galvanize politics and energise dissent among Shia in neighbouring countries," according to Jones. "The revolution helped explain both the timing and some of the forces that encouraged Saudis to take to the streets." In 2011, there were again violent protests in the Eastern Province and Bahrain as part of the wider Arab Spring, again mostly involving Shia communities, which were put down by the security services. Following Nimr's execution, hundreds of protesters marched through Qatif on Saturday, according to eyewitness reports.